The Gen10 Servers from Hewlett Packard Enterprise boost an increase in performance for your business, Now offering ProLiant DL560 Gen10 Server with 4P server with high-performance and greater processing power, up to 3 TB of faster memory, and I/O of up to eight PCIe 3.0 slots which delivers up to a 68% excellence in compute performance . The HPE ProLiant DL560 Gen10 Server boost an increase with 4P computing in a dense 2U form factor and supports up to Intel Xeon Platinum and Gold processors which delivers up to 68% more processor performance and 27% more cores than the previous generation. The HPE ProLiant DL560 Gen10 Server allows to scale up from two to four processors only when you need and supports up to 24 SFF SAS/SATA with a maximum of 12 NVMe drives. HPE ProLiant DL560 Gen10 is embedded with RAID (SATA 6Gb/s / SAS 12Gb/s) (HPE Smart Array P408i-a) Storage Controller. 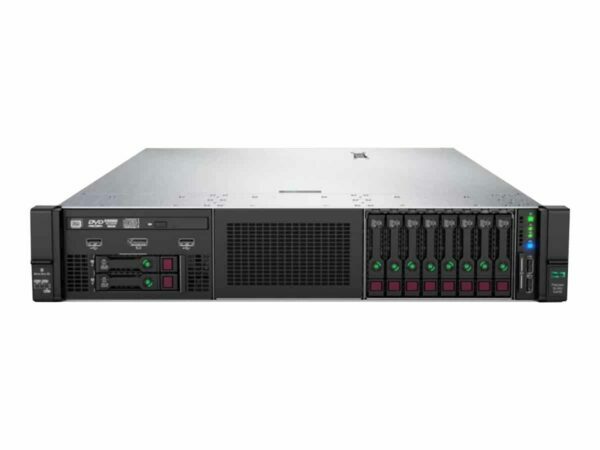 The HPE ProLiant DL560 Gen10 Server with Up to 48 DIMM slots which support up to 3 TB for 2666 MT/s DDR4 HPE SmartMemory improves workload performance and power efficiency.